As a student, making time to regularly study is important if you’re trying to ace all of your classes. Having a good study space setup helps you stay organized and focused on reviewing your notes. This year, get productive and excel in your exams by creating the perfect study place. An ideal study space consists of an organized desk, a comfortable chair, and cleared of distracting items. But no space is perfect without a computer, as it holds all saved projects and files, gives access to school emails and the web, plus more. Seeing as a computer is such a useful tool to students, it’s important to pick one that will fit nicely into your study area. A great candidate to consider is our Inspire Barebone System. Unlike tower computers, this desktop mini PC will tuck neatly into the corner of your station, keeping it looking tidy while simultaneously giving the output you need to work online with efficiency. The Azulle Inspire barebones school computer system is also designed as a fanless unit, giving you silent power to make sure you don’t get distracted by an annoying fan noise – making it the perfect study buddy. The Inspire comes as a barebone system, which lets you customize it your way. Add your choice of operating system and RAM, and increase storage space needed to create the perfect computer for you. The Inspire is integrated with Bluetooth 4.0 and multiple ports, such as three 3.0 ports and Type-C port. Pair wireless or wired accessories such as headphones, keyboard, mouse etc. to create a functional computer setup, then connect via Ethernet or Wi-Fi to gain Internet access. Compute in style and comfort from your personal workspace. The Azulle Inspire barebones school computer system is offered with the following variant processors: Apollo Lake J4205, Dual-Core Intel Kaby Lake i3-7100U, Dual-Core Intel Kaby Lake i5-7200U, and Dual-Core Intel Kaby Lake i7-7500U. Select the variant which best fits your needs and level of usage. The Apollo Lake J4205 and Dual-Core Intel Kaby Lake i3-7100U are entry-level options ideal for basic uses such as web browsing and running of light applications like Microsoft Office and Skype. The Dual-Core Intel Kaby Lake i5-7200U is more ideal for intermediate users which plan on doing all of the above mentioned as well as using their desktop for heavier content outside of studying, such as playing desktop games or running heavier software. 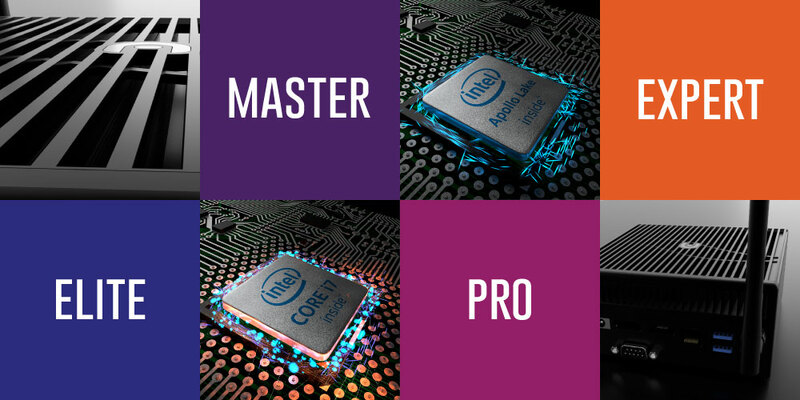 Lastly, the Dual-Core Intel Kaby Lake i7-7500U option is the more powerful, which is perfect for those who are planning to also use their desktop for professional work, intensely heavy software and applications, and more. Confused or have any questions? The best way to shop for your Inspire for a back to school bargain is by visiting our partner Simply NUC. Simply NUC offers a variety of RAM, Storage and Operating Systems which can be added into your preferred Inspire for you. SimplyNUC will build out your Inspire with your selected components and deliver it fully configured to your door. You can also pick up your own Inspire Barebone Mini PC on our site or on Amazon and shop for your components independently.